Well, it’s been a good week and a half since we’ve heard of any Fallout 76 glitches or bug. In recent Bethesda history, that’s pretty good. Something new has come up though, and it is more interesting than problematic, I would say. That’s not to say that it does not create problems. Let’s get to it. During a Rad Rat horde event, a player accidentally clipped through the geometry of the world and into Vault 63, which at this point is not supposed to be accessible. The Reddit user McStaken, who is the player in question, gave a play-by-play of how it went down. McStaken went through what I call the Stages of Cheat, even though it was completely accidental. First, Shock: McStaken knew they were seeing and exploring this vault that no one was supposed to see yet. They took pictures to chronicle their experience. Stage 2, Guilt: After getting unstuck, McStaken began to worry that they would get banned for entering an inaccessible area. This was a logical worry since players had been banned for going to places they should not be. Stage 3, Bargaining: McStaken had contacted Bethesda support and confessed their accident, hoping they would be spared from a ban. Stage 4, Acceptance: McStaken began waiting for punishment, “monitoring social media for replies/hit-man requests.” Stage 5, Joy: After learning that their tale had made headlines on Polygon and PC Gamer, McStaken had new feelings of worry and excitement. The exposure could mean either good or bad things for them. Bethesda did join the conversation soon after. They thanked McStaken for alerting them to this glitch and the honesty. No ban or punishment has been given. It is kind of weird that McStaken decided to take pictures of the inaccessible area and then ask not to be banned. Don’t try this at home, kids. 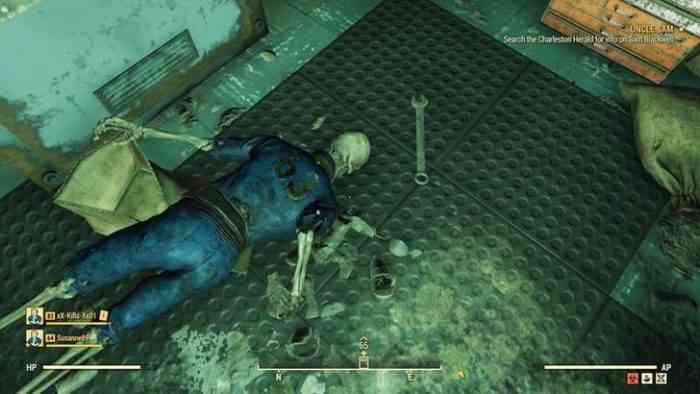 Bethesda let McStaken off the hook because this was unintentional, but if a bunch of people do this on purpose, they might not be so lucky. What do you think of this bug? Let us know in the comments below. And be sure to stay up to date with all our Fallout 76 news on our site.